Duplicate Records proudly presents NEURONAUT. A rare breed indeed, this Sweden-based quartet combine a wide spectre of influences to create something that is completely their own. Atmospheric, progressive and dissonant are all adjectives that are easily associated with their debut, State Of Not Enough. However, those elements alone doesn't necessarily make a great album. It also takes high levels of songwriting, execution and production. 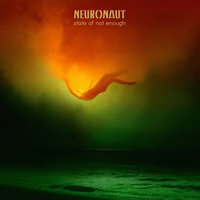 NEURONAUT delivers on all accounts. Digipack CD, ltd. to 300 copies.